Getting married is one of the biggest events of your life. It would only be natural that you’d want to include the most important members of your family. That can mean including your beloved dog(s) too! Of course, some of our sweet pups might be a bit of a handful and such an event may be too overwhelming for them. However, there is definitely a way to include your sweet doggies if you so desire. 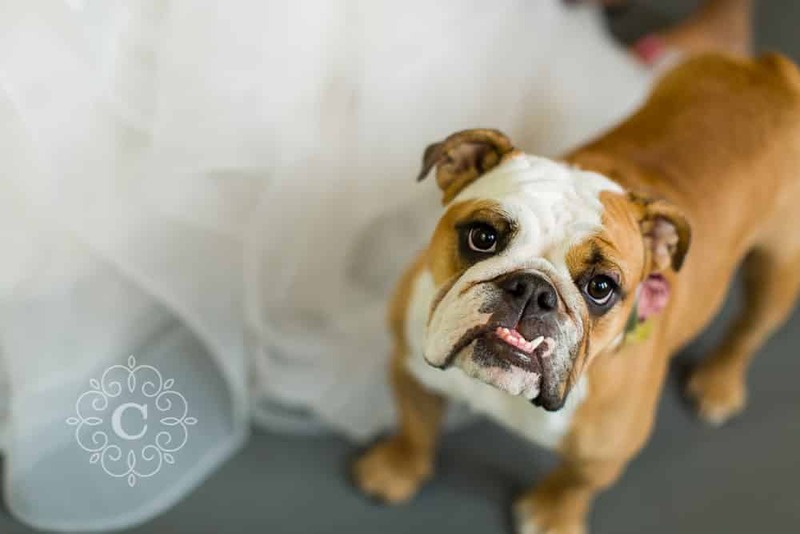 Today I’m going to give a few dog wedding ideas, as well as some dog engagement and portrait session ideas too! 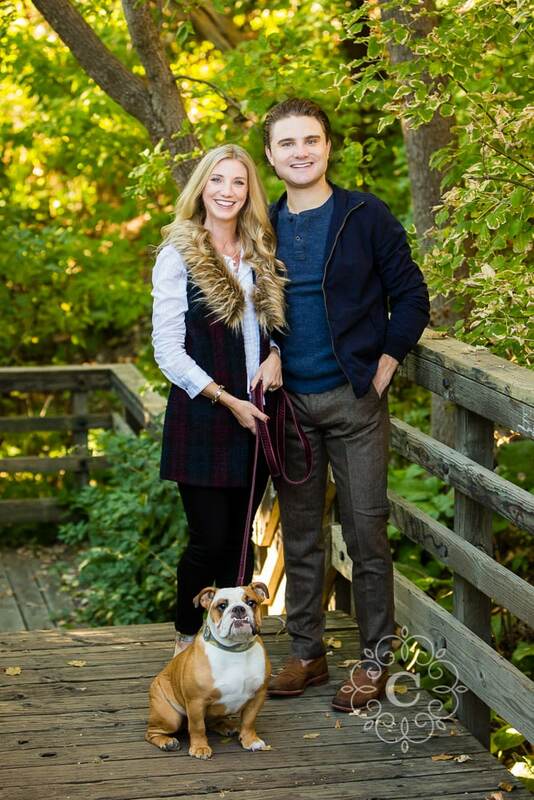 Your dog(s) can easily be included right off the bat, beginning with your engagement session. 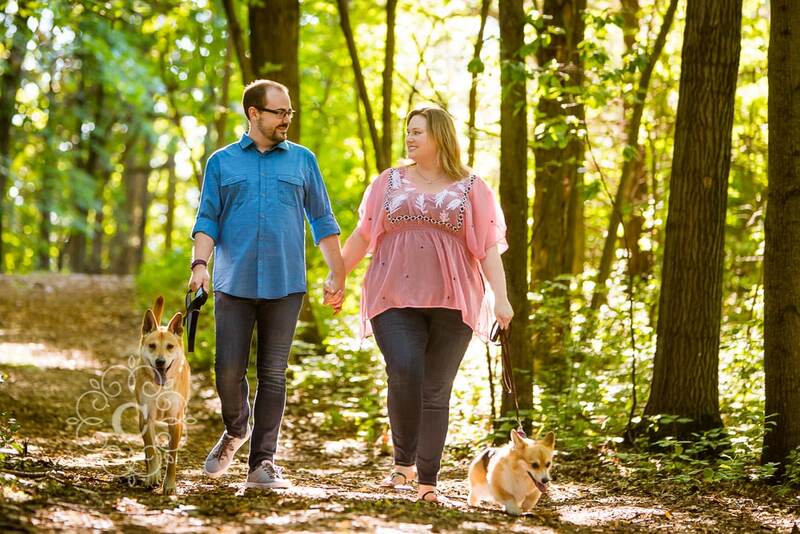 I’ve worked with clients at dog parks and even stopped by their home to snap a few quick photos with their sweet doggies before or after our main session. I usually include a few dog squeaky toys in my gear bag to ensure their utmost attention to the camera when needed. We often just grab a few photos of you together, then move on to couple photos while your pup(s) heads off with family or a friend. 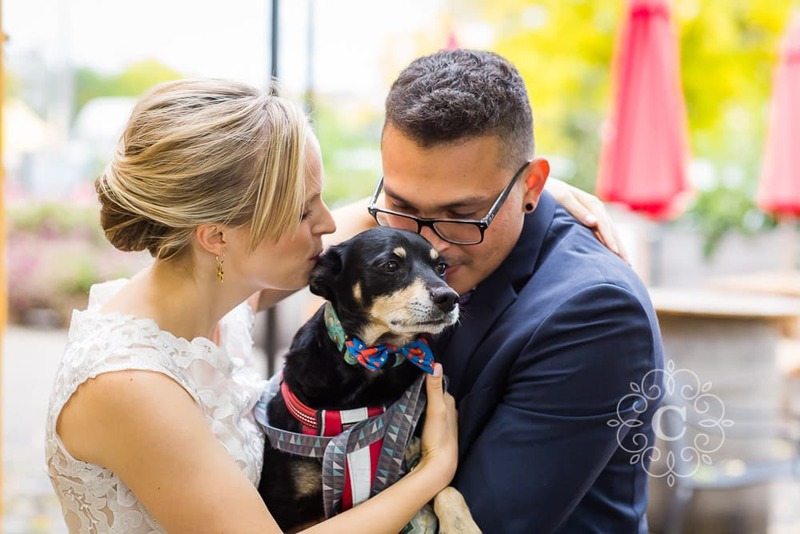 Some people want to involve their doggies in their actual wedding ceremony. 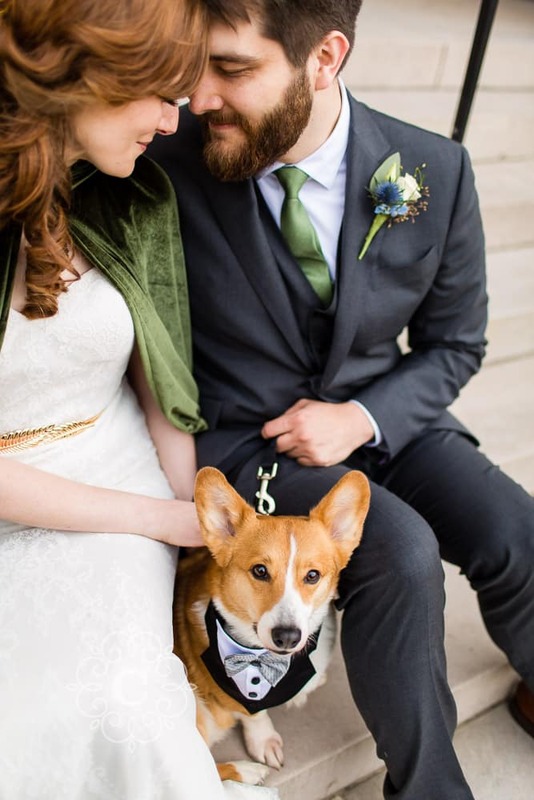 It can be so sweet to see your canine(s) dressed up in their best bowties and flowers while being led down the aisle by a friend or relative. Another alternative (if you don’t want them in the actual ceremony) is to have someone stop by the reception for a quick few photos of you together. We can make anything work! And of course, we can always include your doggo(s) in any type of portrait session you may want as well. 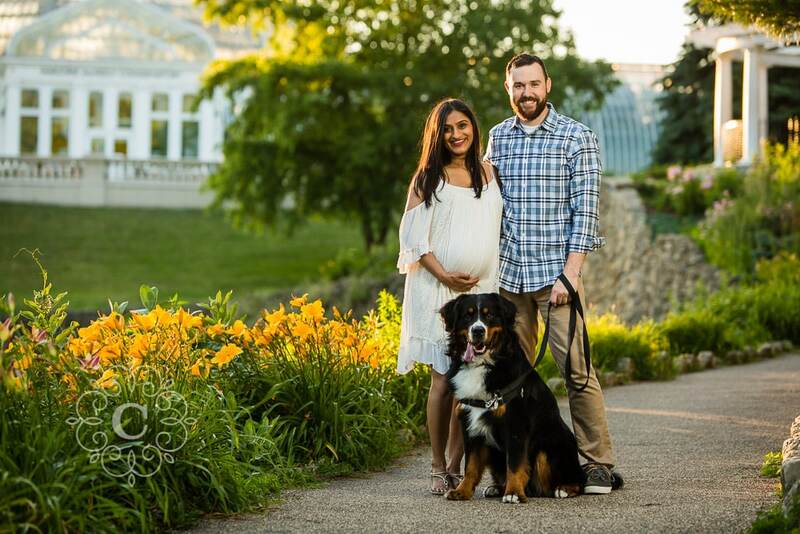 You can bring your pup to your maternity session or portrait session. 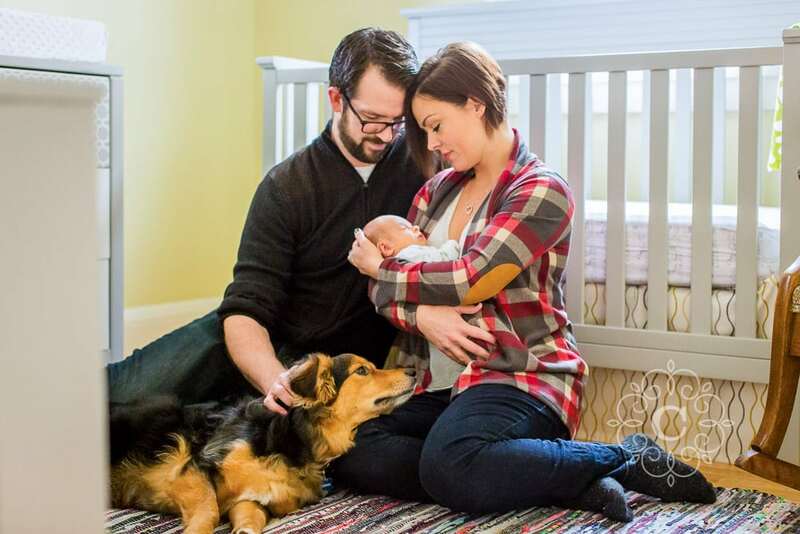 Or if we are photographing in your home (for example, in a newborn session) we will be sure to capture a few photographs of all of you together in your full family photos. 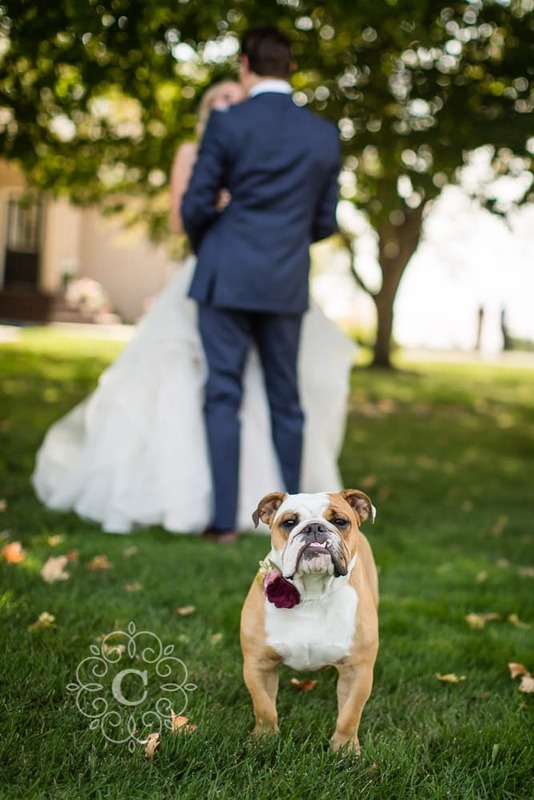 I hope these tips were helpful in your plans to include your dog wedding or portrait photography! 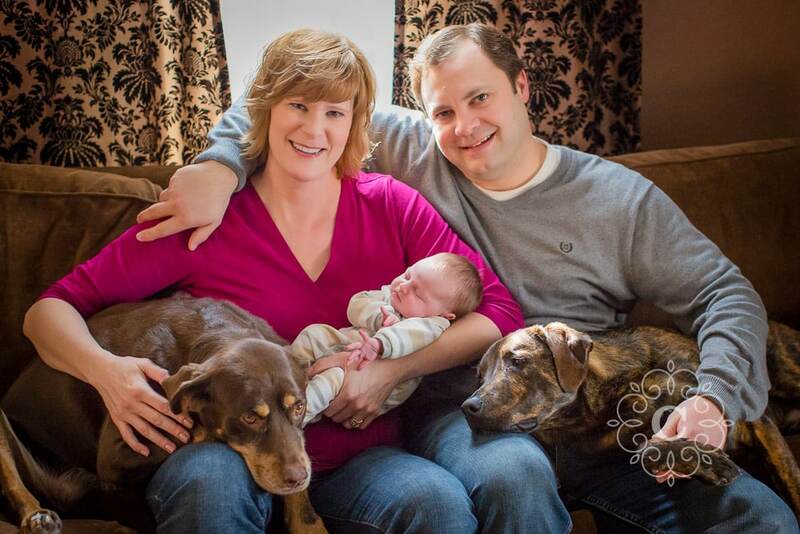 If you’d like to talk more about working together for portraits with your doggies, contact me soon! I’d love to discuss how we could work together. Have you ever wondered why Jennifer Lopez made such an impact with her movie The Wedding Planner? It’s because after watching it, many people finally understood the importance of working with a wedding planner! Hiring a wedding planner is really a matter of personal taste. If you believe that you and your fiancé(e) are up for the challenge of planning your own wedding, then go with your gut. But if the idea of planning your entire wedding celebration seems tedious or makes you nervous, then it might be time for you to consider hiring a wedding planner. Generally, a wedding planner (also called an organizer, coordinator or designer) is someone who is proficient with wedding planning strategies. There are a number of benefits to hiring a professional wedding planner. Planning a wedding can be a difficult job. It can be even tougher if the bride or groom is doing all the work! Planning a wedding does not happen overnight. It can often take 200-300 hours of conceptualizing, research, coordination, etc. To conserve you time and effort, it can be best to work with a wedding organizer. The reason many people do not work with a wedding coordinator is that they feel it will simply be an added expense. However, hiring a wedding planner can actually save you money. Most wedding planners have already developed strong bonds with numerous wedding vendors. They know about getting great value for the money, reasonable pricing for services, etc. They can guide you along the way to the right strategies for your budget. With wedding planners, weddings can be better organized. Wedding coordinators plan every single detail of the wedding day. They have timelines they follow closely so all the details and events are well-prepared. If changes need to occur, they are adept at re-organizing on the fly. With wedding organizers, the decisions still rest with you. The wedding planner will simply direct, offer recommendations, and help you make the best decisions. You will still have your own style and personalization on your big day. 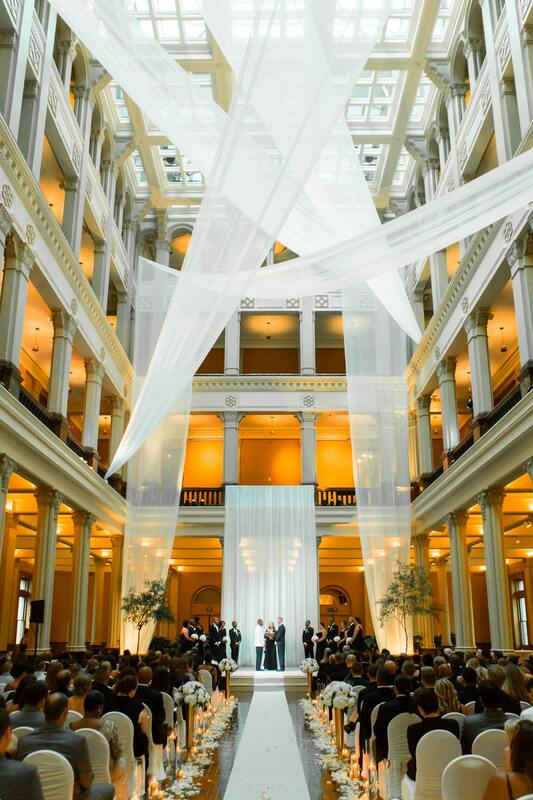 With wedding organizers, the events of your day do not need to be managed by you. The couple, wedding party and families are more free to relax and enjoy the event. If any problems arise, the wedding planner is there to manage solutions. They coordinate vendors, handle minor emergencies, etc. They can definitely be worth their weight in gold! Another great feature about hiring a wedding coordinator is that they function as confidence-boosters. If you are feeling rushed, jittery or nervous, looking to your wedding planner will help calm you down. They are usually positive and confident that your wedding day will be perfect since they personally managed all the details. For a well-managed wedding, consider hiring the services of a wedding planner. 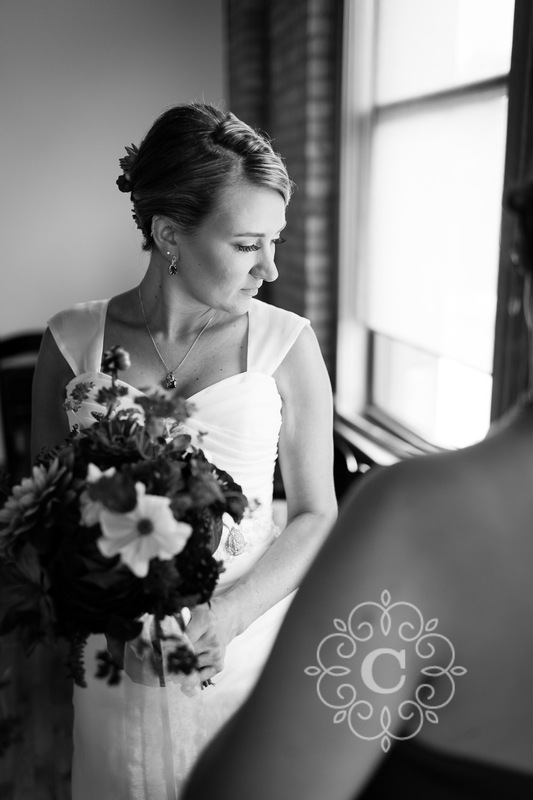 As a Minneapolis wedding photographer, I can recommend several excellent wedding planners. Don’t hesitate to contact me if you’d like to talk more about working with a professional wedding planner! Were you recently engaged? Trying to plan your wedding day timeline? Unsure how to fit in all the activities of your wedding day? 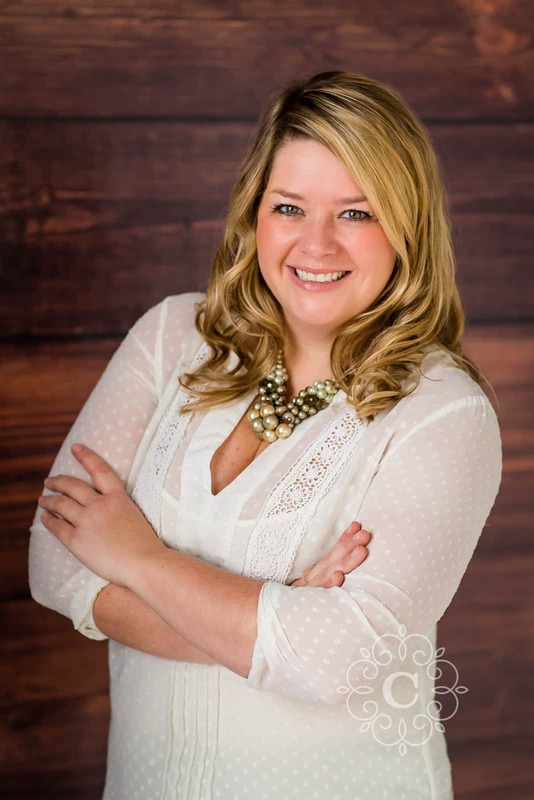 Today I’m turning my blog over to my friend, Minneapolis wedding coordinator Josey Stafford. 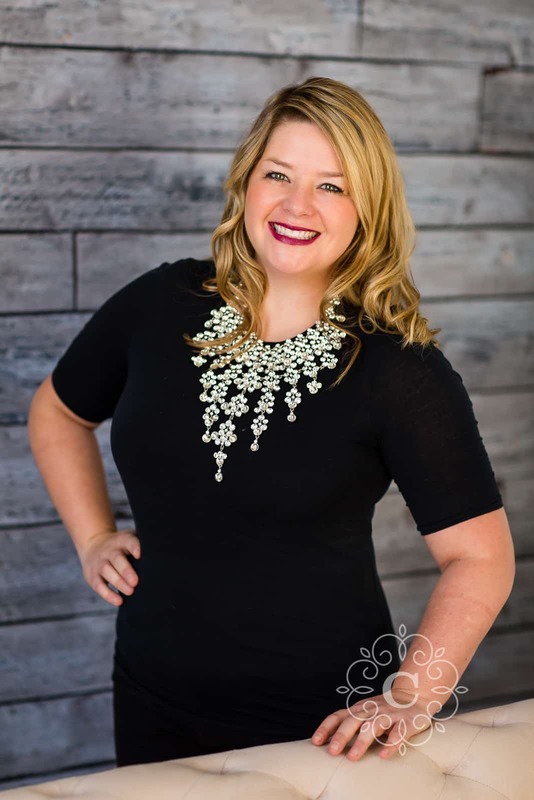 Josey is owner and lead planner of Sixpence Events, and she wanted to share advice for planning and creating your wedding day timeline. Take it away Josey and Sixpence Events! 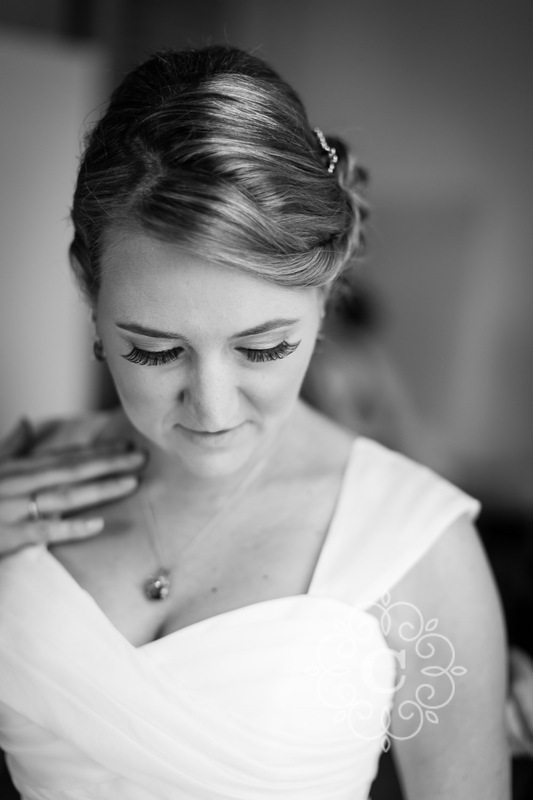 Don’t feel overwhelmed, I’m going to show you how to create a wedding day timeline. In order to get a grand head start, sign up for Aisle Planner. It’s free and they have a timeline template with the essential elements of your day. If you’re sick of giving out your email or unsure of if you want to abandon your Kate Spade planner and your printables – check out this Aisle Planner video. Plan your wedding day timeline by collecting key information and working backwards. ~ Cocktail hour length. If you have a room flip count on 60-90 minutes for cocktail hour, otherwise stick to 45-60 minutes. Now let’s work backwards. If you have to be out, 100% all people and all cleaned up, by midnight, then your guests need to be out by 11P. This takes into account stragglers, you know, people who no matter how loudly you suggest for them to continue their party elsewhere, they still walk towards the exit like their shows are full of lead. Clean up should start around 10:45P and last call should be at 10:30P, because it’ll take about 15 minutes for guests to get 1 last free drink, and then your bar can start breaking down. If you have large installations or lots of decor, have either more people to help or more time to tear down. Now let’s think about your shuttle schedule. I always feel like around 9P guests start to want to leave. Not all your guests, just people with young children, older adults who don’t like dancing or loud music, and responsible friends who had previously been irresponsible with their libations and therefore need to call their night short. On the other hand, there will always be party hardy persons, so you don’t want people to think they can’t have a good time. If you only pay for a 2 hour shuttle time block, pick the 9:30P-11:30P time slot, that way no one gets left behind at the end of the night. Hiring professionals will help you make a wedding day timeline that can be molded to what you specifically need for your wedding, and by need I mean want. There are lots of variables like how long is your ceremony, do guests need to travel to your reception venue, do you have a room flip? Is there a place for guests to be comfortable during cocktail hour… I guess that’s getting off track. Now that you have your ceremony and reception timeline solidified, you need the other half of your day. If you have a large family, basically if you and your fiance both are not only children of only children parents, you’ll want 30 minutes for family photos with a buffer of 30 minutes. That buffer is time spent hidden, so your guests don’t see you before your ceremony. Notice that even though getting dressed into a suit takes less time and is traditionally less photographed, I still gave you an entire hour to do so before first look. Giving suit persons a time like 12:20P is weird and confusing and unnecessary. While we want your day to have a grand timeline, this isn’t air traffic control. Some people will be ready early and be stuck twirling their skirts, hands stuffed in pockets. That’s okay. Better early than not on time. It is important that everyone else be dressed before you, the bride or groom, gets dressed. Otherwise your mom will hate the way she looks during that intimate moment of buttoning your dress, and your maids will look mismatched, some naked, some dressed to the nines. Now that you know what time you need to get dressed your hair and makeup artists can make a schedule for getting ready. Eat before you put you get dressed, at least twice (breakfast and lunch). Or if you and the guys are going to a diner before going to the venue, just make sure you show up at the right time. Adding things like pictures of the groomsmen socks, or bridesmaids in their robes, will need to be worked into the timeline. Having a second shooter can help make those moments possible if you are getting ready separate from your fiance. I know we covered a LOT so comment below with questions or send me an email. Aisle Planner is the best tool for a major jump start on all the things I just laid out, because we didn’t even dive into vendor arrivals or venue access. Oy. If all of this seems like a masters class and you are a freshman 101, check out Ready, Set, Wed! A free course I offer for you brides and grooms looking to start. 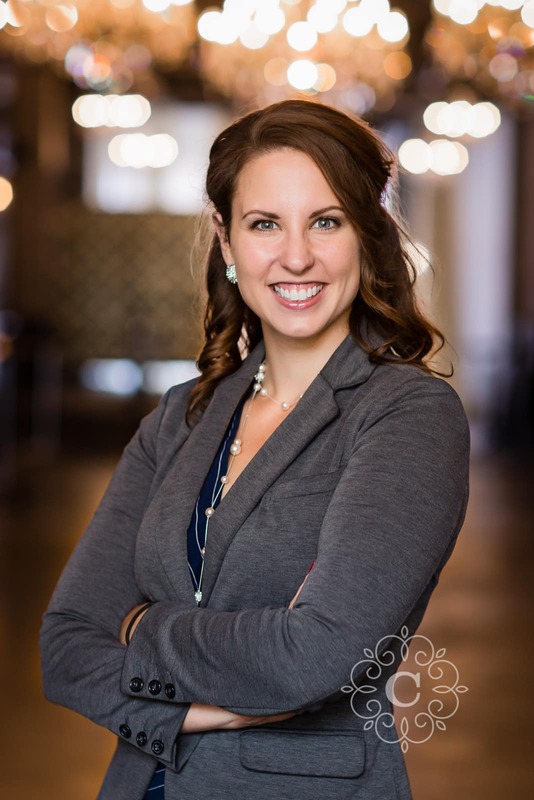 So there you have it, some great advice about planning your wedding day timeline from Minneapolis wedding coordinator Josey Stafford of Sixpence Events! Feel free to contact Josey with any questions, or if you’d like to talk to her about working together for your big day. 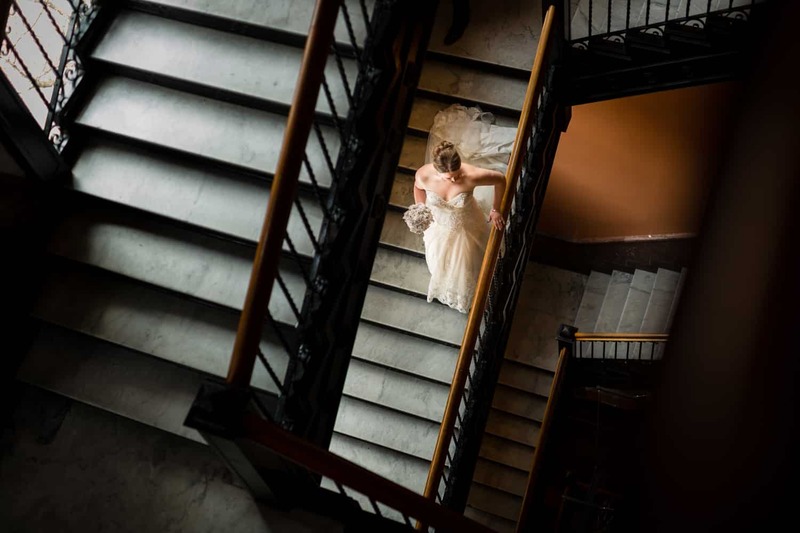 Or feel free to contact me as a Minneapolis wedding photographer if you’d like to discuss my thoughts too! Considering a barn wedding? 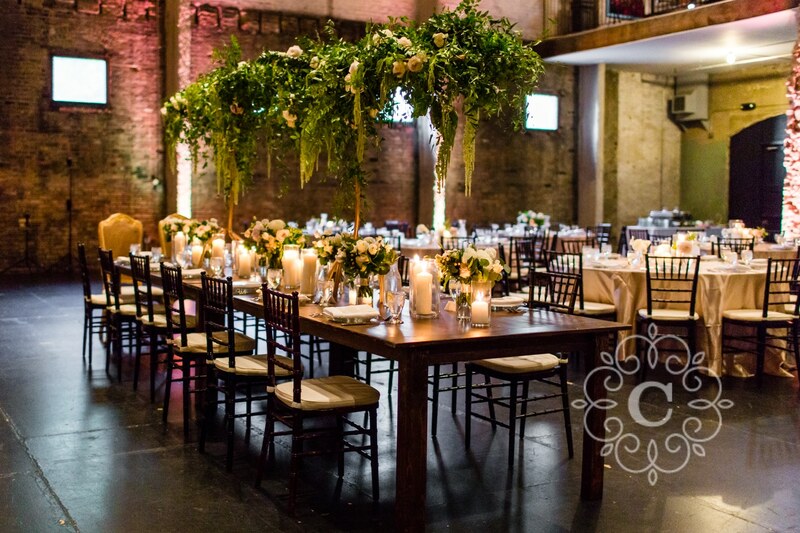 Unsure how to manage all the details of a barn wedding? 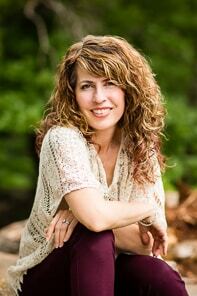 Today I’m turning my blog post over to the top barn and tent wedding expert in the Twin Cities, Rustic Elegance. 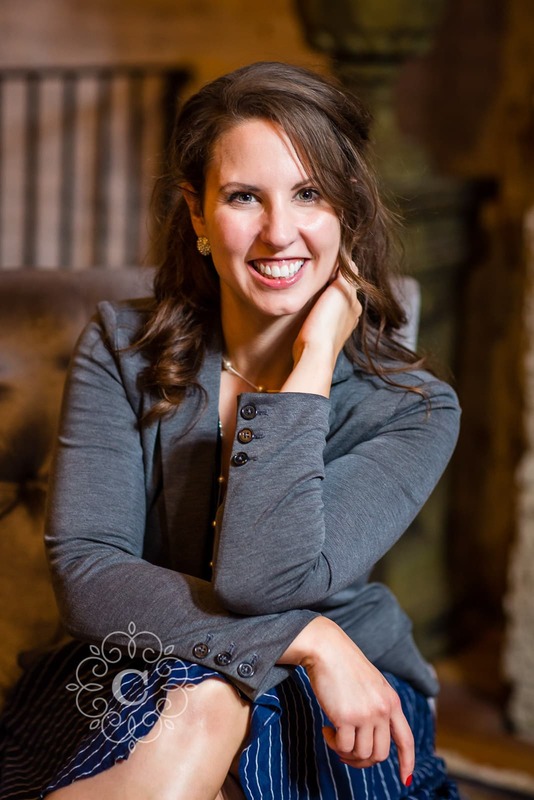 My friend Kellie Heinen, owner of Rustic Elegance, was happy to offer some of her best advice to couples planning a barn wedding. Take it away Rustic Elegance! Planning a wedding can be S T R E S S F U L. There are SO many things to think about – your wedding party, budget, food/beverage, etc. After enjoying some time engaged to your future life partner, one of the first orders of business that every couple will have to decide on is the venue. From hotels, golf courses, event centers, etc., every couple has a venue style that they can envision themselves tying the knot in. One of the latest crazes in the wedding world is getting married in a barn, one that has been transformed into a beautiful wedding venue. 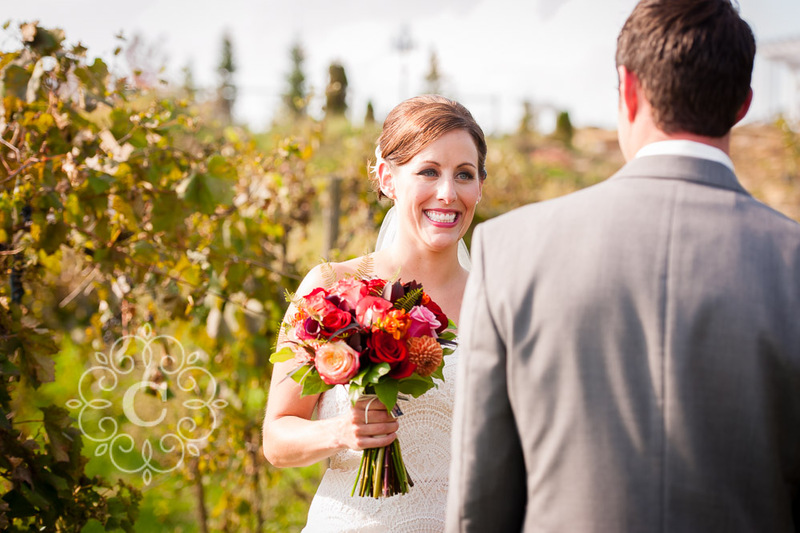 At Rustic Elegance, we are fortunate to specialize in backyard, tent, barn, vineyard, and orchard weddings. We love working with these types of venues. They start as a blank canvas and may require more planning then if you held your event at a full-service hotel or restaurant. 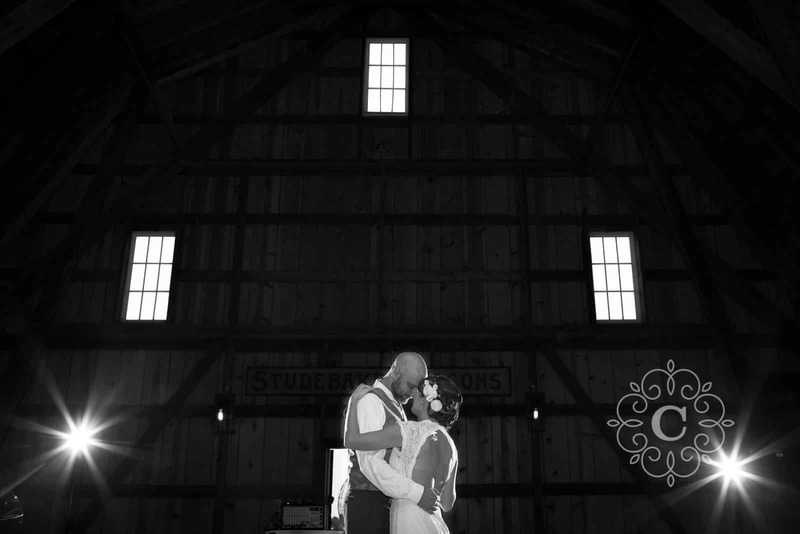 Being in business for over 5 years, we have come up with our top 10 tips for hosting barn weddings, and Minneapolis wedding photographer Carina Photographics has asked us to share them with you. 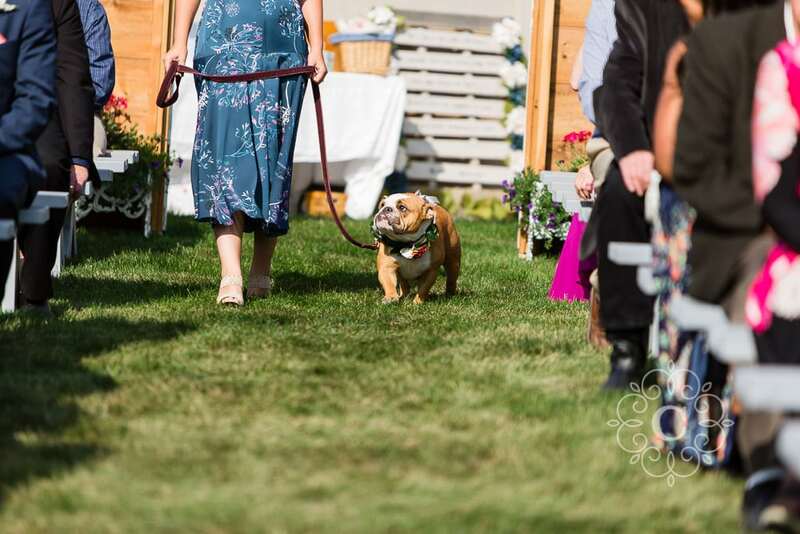 You might not think about this right away, but many barn wedding venues will face the outdoor elements because of the different seasons throughout the year. If you’re planning on getting married in the scorching summer months, you might want to think about adding some fans or renting an AC unit to ensure guests are comfortable. Also confirm with the venue if they have air conditioning as an option – there are a few out there. If you’re planning a fall/winter wedding at a barn, consider having space heaters or renting a blow-in-heating unit, so nobody will have to endure the harsh MN/WI winter during such a heart-warming day! Many barn venues have B E A U T I F U L outdoor options for ceremony sites, or a barn that can start as a ceremony site, where your guests are then invited outside for a cocktail hour, and the barn is then transformed into your beautiful reception venue. While outdoor options for ceremonies and cocktails hours are fantastic – there is always the chance of weather getting in the way. When planning a barn wedding, have a back-up plan if utilizing outdoor space. Also, think about who is going to help initiate a back-up plan once you have one, including ensuring guests are dry and safe, and moving any previously set up décor from your outside space indoors. Many barn wedding venues are repurposed older barns, that were decorated and transformed to create a place to make lifelong memories from your special day. With the older barns, there may not be as many sources of power or outlets that you will need. Consider bringing a few extension cords or power strips to ensure that your vendors will have enough power to work. Layouts of barn venues/the farmland are very different throughout MN/WI. Some have one barn, some have two, some have bridal suites, some do not. When visiting venues, consider the space and spending your entire day there. 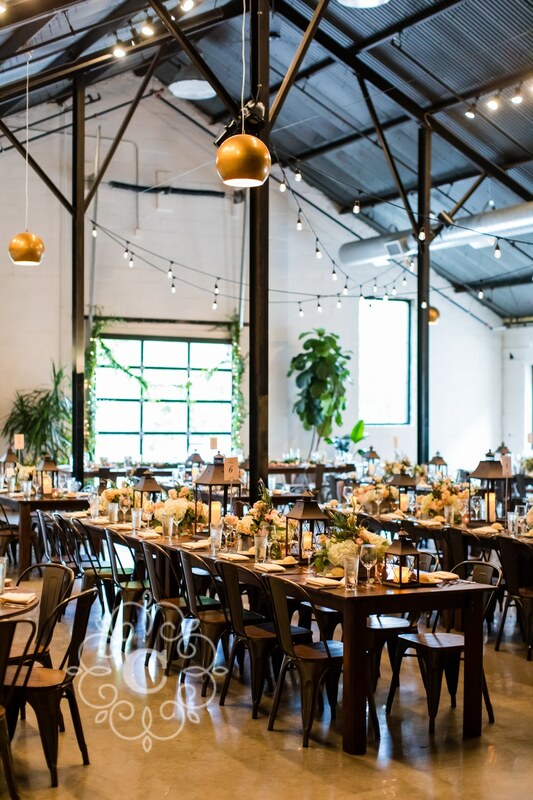 If you do decide to use the barn space for both the ceremony and reception, there will have to be a “flip” period, or a time when the venue changes from ceremony layout to reception layout. 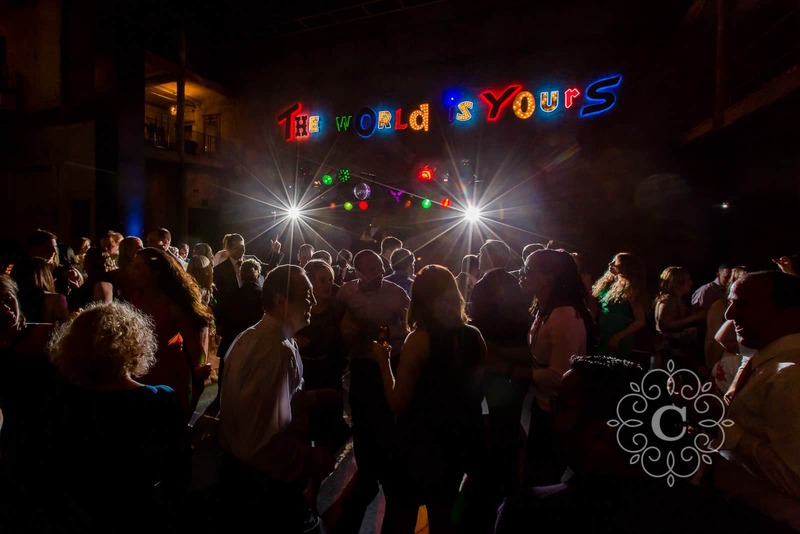 Also when thinking about utilizing this space, also question who will be flipping it for you – the venue workers, family members, or you could hire a day of coordinator [like us] to take all of it off your hands. 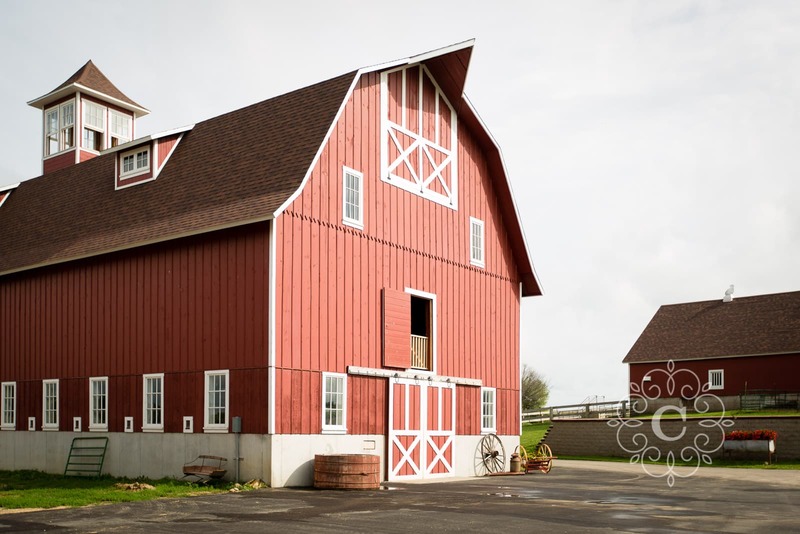 If you are centrally located in the Twin Cities, chances are you will have to travel a little bit into the countryside for your wedding if you choose a barn venue. Also keep in mind that this means your guests will also have to travel, and some may opt to stay in a hotel. Consider booking a block of rooms at a hotel nearby for your guests, and providing a shuttle to and from, to encourage safe travels and further encourage dancing the night away. > Centerpieces – If there are going to be doors open at the venue, wind may try to blow away your décor. 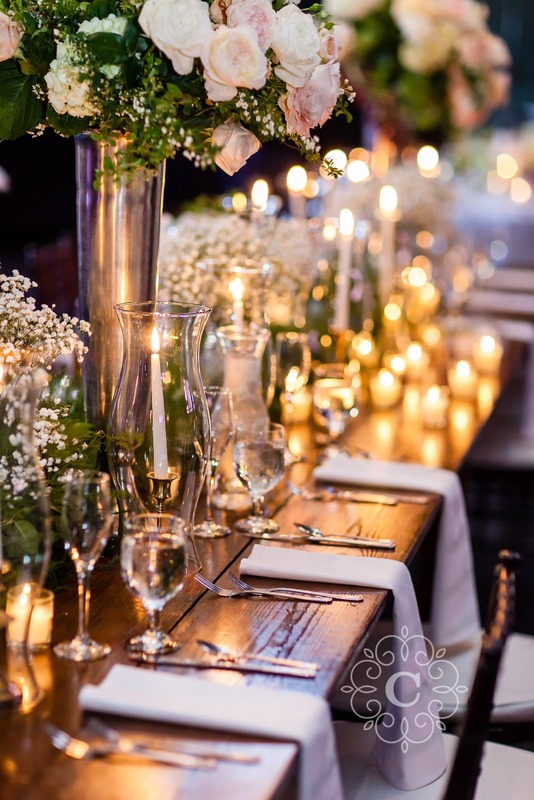 Think about heavier centerpieces, such as wood logs, heavier flower vases, etc., so that the decorations stay in place! Also, consider who is setting out the centerpieces [florist, family, you, planner, etc.] and who is gathering them at the end of the night. > Lighting – Barns are typically only lit by a few overhead lights and may be seemingly dim on your initial visit to the space. To brighten the room [as well as everyone’s day], think about adding string lights across the ceiling or a chandelier over the head table, for a dramatic effect. 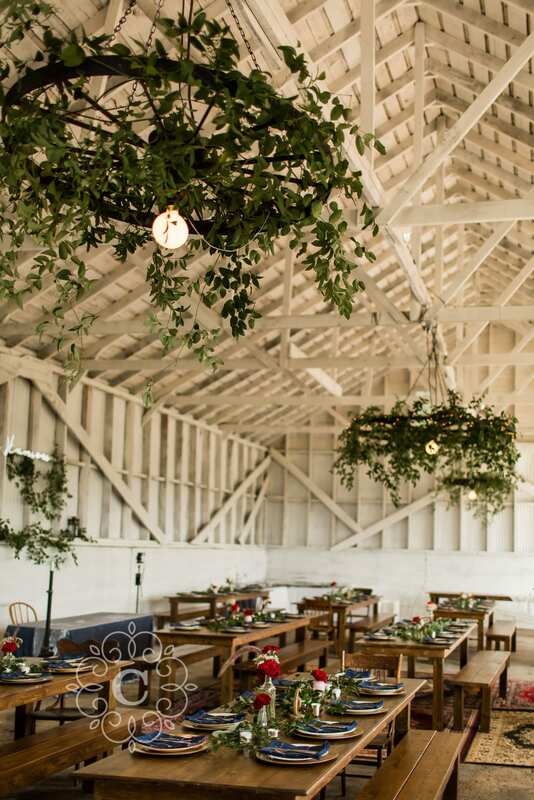 > Keep it simple – The barns that we have been so fortunate to work with are beautiful on their own with no decorations. Try to concentrate on the true beauty of the barn with light décor, or choose to focus on a focal point in the room. All barns have different surroundings. Some may be surrounded by grass and fields, others by dirt paths/roads, etc. 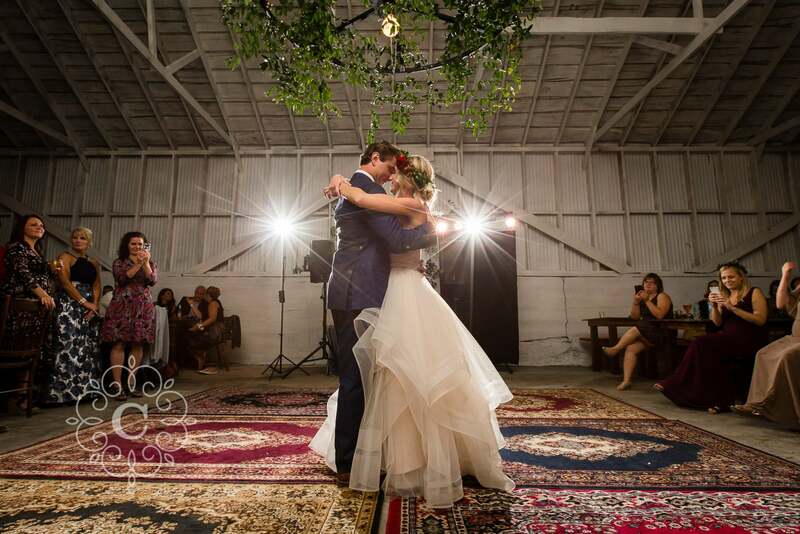 Ceremony sites may be all grass, rock, or they may be in the barn itself. Either way, remind yourself and your guests to wear farm or grass friendly attire, especially footwear, for your special day. 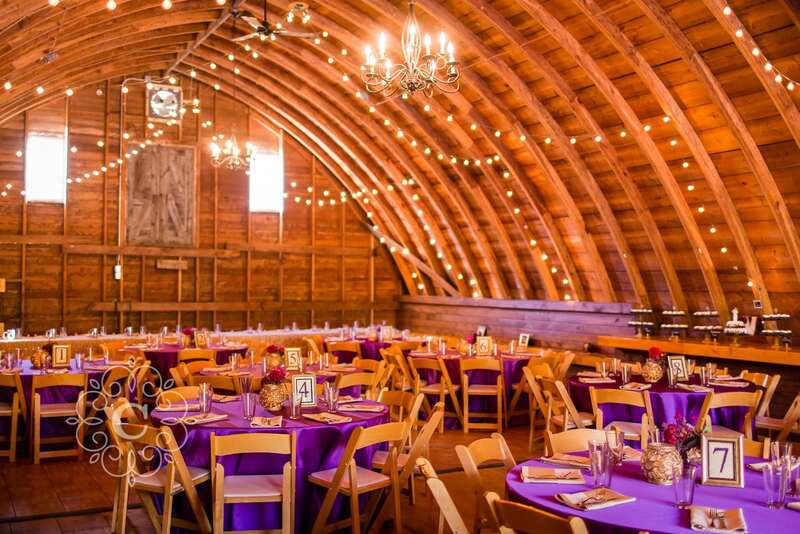 Some barn venues require extra “event insurance coverage” to host your event at their venue. This is extra event insurance, in case there were anything to go wrong. This may be an added fee to your budget, so it’s something to keep in mind. Check with your venue or planner to verify. > Barn venues may have restrictions on how loud a DJ or band may play, therefore, hire a DJ who has had experience with this type of venue. Also, look for a DJ who has experience with outdoor ceremonies and equipment that can withstand the “wind” noise. > When considering your make-up/hair artists, hire someone who can keep your make-up and hair in place despite the weather elements. > Last, but not least, hiring someone who is going to capture the magical moments from your day! 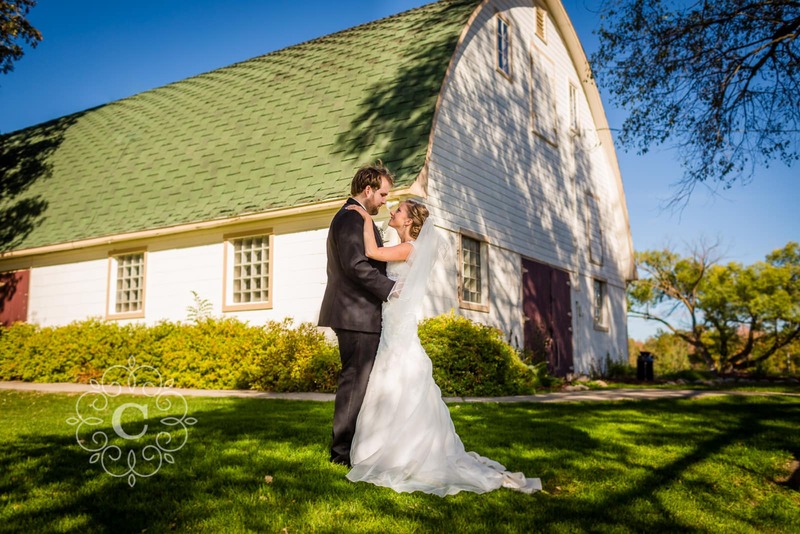 When hiring a photographer, it is important to hire someone who has had experience with the barn type venue. Lighting can be a challenge and photographing with the elements [heat and rain], can be a tricky. Consider asking your photographer if you can view an entire album from a wedding they have photographed at a barn venue [this way, you know they aren’t showing you just their very best photos]. 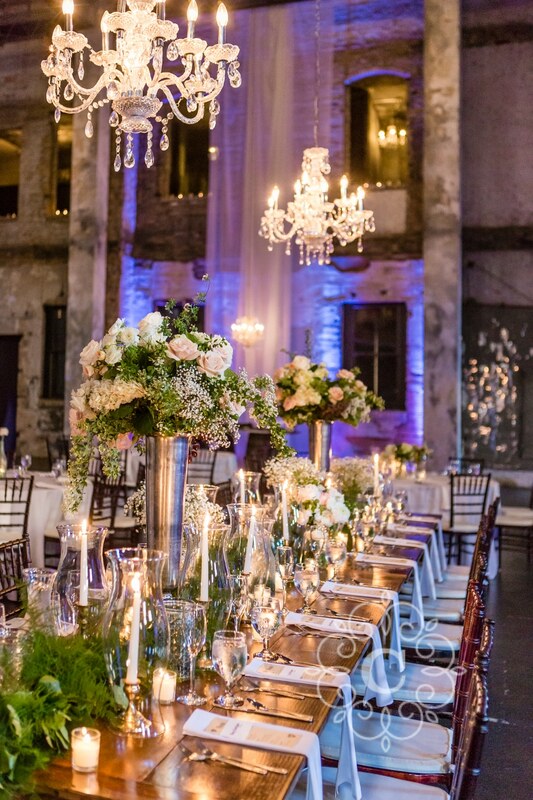 Depending on your venue choice, you may have to clean-up the venue the night of your wedding, and remove all items that you had brought in, including décor, presents/cards, floral, food, etc. Plan for someone to help designate the clean-up effort, so that you aren’t tacked on with any extra clean up fees, or make sure your wedding planning team can take care of it. One more bonus tip because we just have so much to share! When putting together your seating chart, we always recommend assigned seating for your guests, to make their dining experience a G R E A T one! One common mistake we see is that guest names are listed by table number vs. alphabetical order. This layout forces guests to have to look at all the tables/names to find their own. Instead, consider putting guest names in alphabetical order by their last name, to ensure guests can find their tables/names with ease. 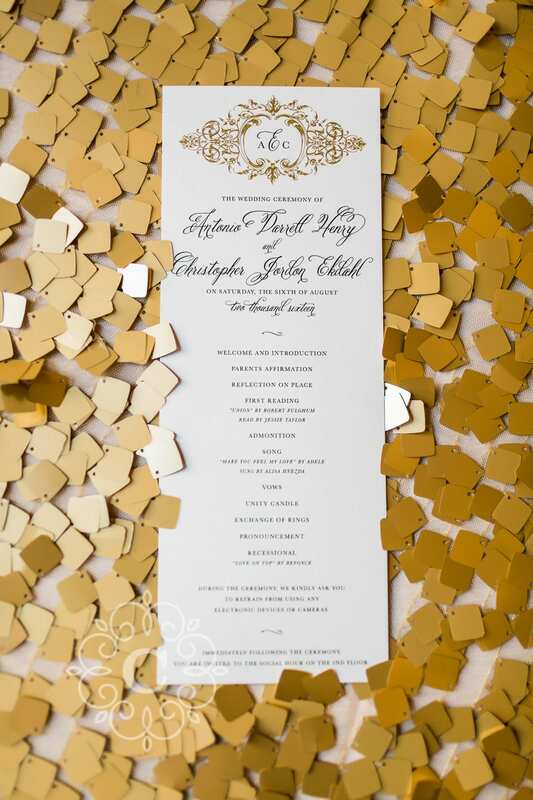 Also, we recommend using a list/frame type style vs. place cards. At barn venues, the barn doors are usually wide open to let the natural breeze in and this provides the perfect opportunity for fly-away place cards. When deciding on what will be used for your actual table numbers, consider something large enough to be seen from a distance, and something that is stable against the elements as well [have these placed on the table facing the door that guests will be entering from]. We’ve seen some extremely remarkable weddings at stunning barn venues across MN/WI, and have had the chance to work with some pretty amazing couples! We feel so grateful every day to be doing something that we love and feel so passionate about. 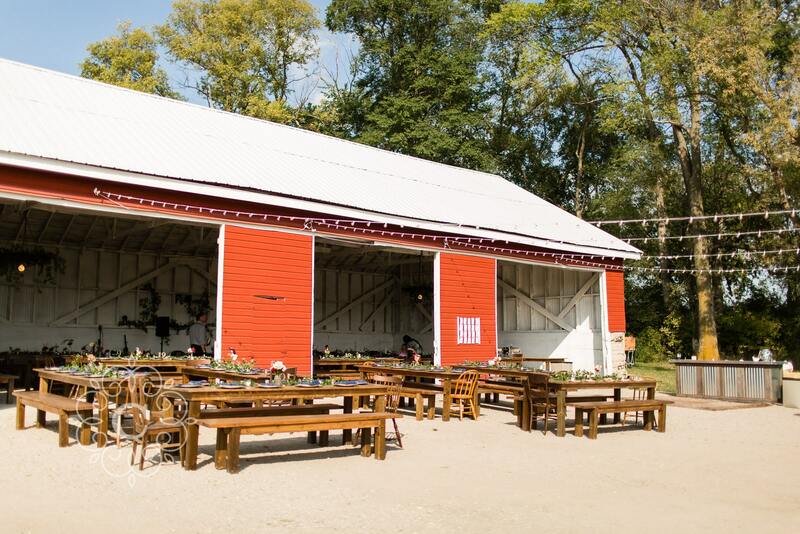 We hope that our barn wedding tips have helped you consider how great it is to have a wedding at a barn venue, and that you also consider Rustic Elegance to help coordinate your special day! 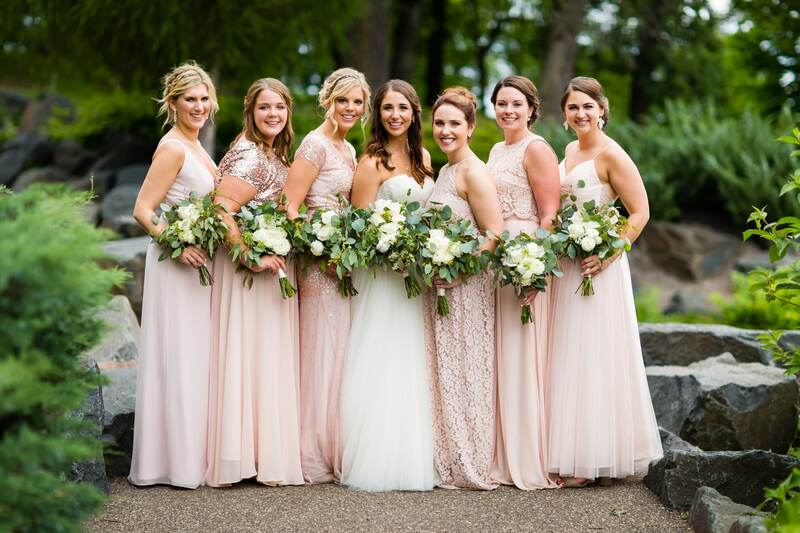 Thank you Minneapolis wedding photographer Carina Photographics for featuring Rustic Elegance on your blog! As a Minneapolis wedding photographer, I often ask my clients if they are considering having an unplugged wedding ceremony. Most people answer they are not sure what that means, or else they have no idea how to do it. I’d like to explain a little more about them, some of their benefits, and how you can easily ensure one for your big day. Everyone these days has a camera in their pocket, residing on their cell phone. Cameras on phones have come a long way, and people naturally love to take photos and videos during their friends and loved ones’ wedding days. While most of the time these are fun and awesome keepsakes to have, problems can occur when people use their camera phones during wedding ceremonies. Married couples pay thousands of dollars to professional wedding photographers to have their wedding days preserved through photos. Wedding ceremony rituals can happen in the blink of an eye (think ring exchanges or the big kiss) and hands quickly popping up with cell phones can easily block or mar the images of a carefully-placed wedding photographer positioned behind them. Several of my wedding clients have opted for an unplugged wedding ceremony. This means that couples request their guests put away their cell phones during the ceremony. This significantly lessens the chance of a guest blocking the wedding photographer’s view, and also prevents distracting glowing screens from cluttering the final images. Not only that, but it actually ensures that the guests are giving their full attention to the ceremony itself, not playing with phone settings. ~ Have your officiant make an announcement that you would prefer all guests keep their phones and cameras off so as to enjoy the ceremony undistracted. Have the officiant offer that the images from your professional photographer will be shared with guests at a later date. ~ Alternatively, you can add your wording or request to the ceremony program that each guest receives when entering your venue. Try a Google search to find wording that is right for you! So you see, having an unplugged wedding ceremony comes with several benefits, and is very easy to do. Want more advice? Wedding photography information? Want to see if I would be a good fit for your wedding day? Give me a call at 612.220.8227 or send me an inquiry! As a Minneapolis wedding photographer, there is one issue I see a lot of couples struggle with when planning out their wedding day. Should they do a First Look, or should they wait to see each other when they first walk down the aisle? I have worked with couples in both scenarios. 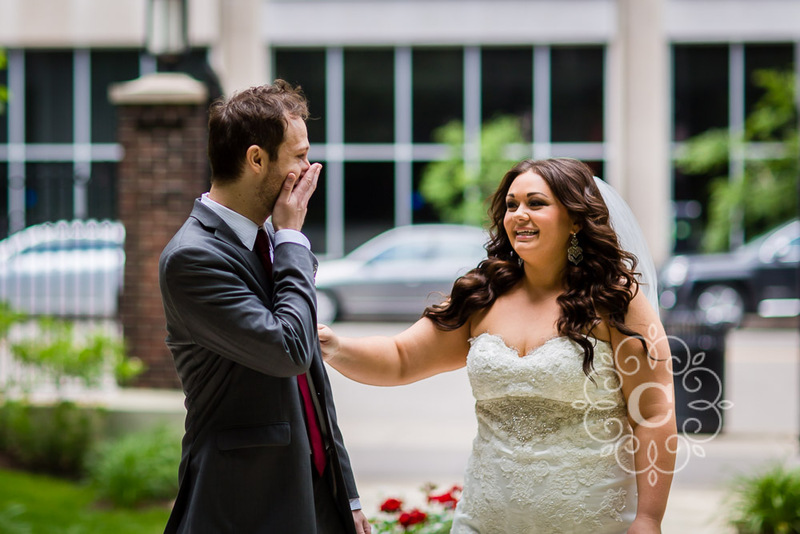 While both ways can work well, there are a few distinct advantages to going with a First Look prior to your wedding ceremony. The First Look begins with some quiet time for just the two of you…alone. The walk down the aisle in a very public wedding ceremony would cause all eyes to be focused on you. Alternatively, your First Look, where you see each other alone before your formal portraits, is often extremely special for you both. You are able to exchange letters or gifts, calm your nerves and think about the events ahead. This quiet time for the two of you also helps to prepare yourselves for the events to come. It is amazing how couples relax once they have held their First Look. Another benefit of First Looks is that your hair and makeup are still fresh and you are still comfortable in your wedding attire. Often times, wedding days and wedding wardrobes can be heavy and hot, so people look less and less fresh as the day progresses. Seeing each other in top form will happen if you choose to do your First Look right away. After the First Look time has finished, we take some posed photos of the two of you. 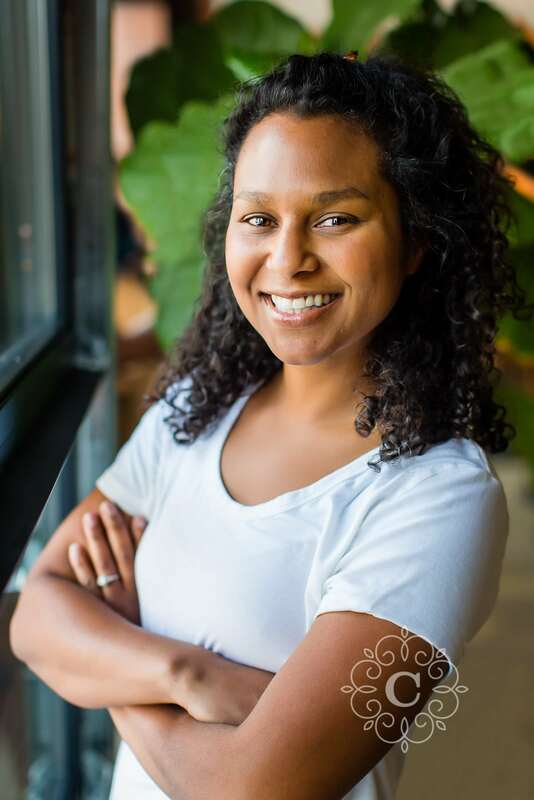 While we still refer to these photos as “posed”, rest-assured that we use our expertise to create images of you that look relaxed, natural and intimate. These photos are the ones that most often end up on walls and in prints or albums. We like to take these photos alone, away from bridal party and family members, to continue to capture candid emotions and moments together. Once your portrait time is finished, you are able to regroup with bridal party and family members and complete as much of your posed, formal group portraits as possible prior to your wedding ceremony. Once your ceremony is complete, you are then able to spend as much time as possible mingling with your guests and not forced to break into posed photos afterward while wishing you could be somewhere else. All-in-all, including a First Look into your wedding day is an amazing experience, and one I highly recommend! Want more advice? Wedding photography information? Want to see if I would be a good fit for your wedding day? Give me a call at 612.220.8227 or contact me! Should You Have an Unplugged Wedding Ceremony? ~ Try to arrange to have natural light in the rooms where both of you will be preparing. 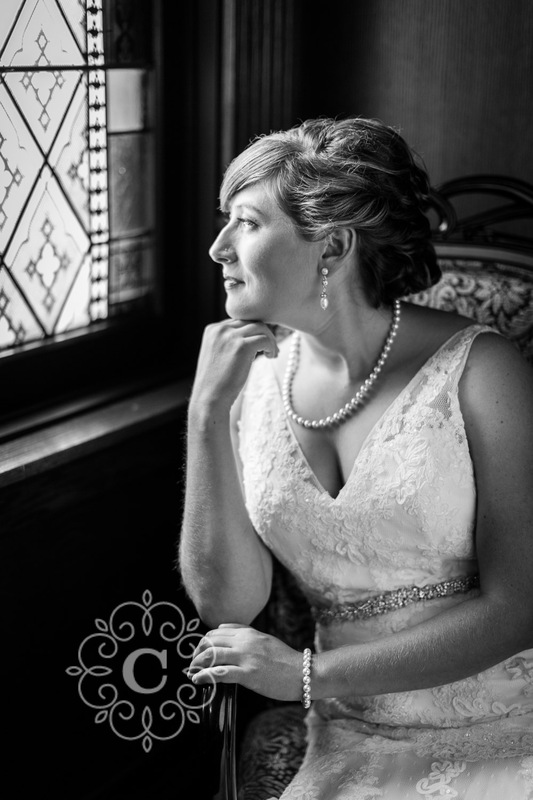 Natural light looks great in wedding day photographs. ~ Keep the area near the windows free of trash, bags, snacks, etc. This is the area that we would prefer to take your photos during your wedding day preparation. ~ Make sure your shoes are comfortable. If not, feel free to bring along your formal shoes for your wedding photographs, but wear the comfy shoes to get around. ~ Consider a coordinator. Wedding planners, wedding coordinators, and even day-of coordinators can help take the stress out of your big day and help things run smoothly without needing your attention. So you can relax, enjoy time with friends and family, and really focus on the best things about your day. No need for you to sweat or take care of last minute issues on one of the biggest days of your lives! ~ Make sure to task someone with bringing an emergency kit. Especially if you are DIY couple, you will need to make sure you have a number of items to help in case something goes wrong. 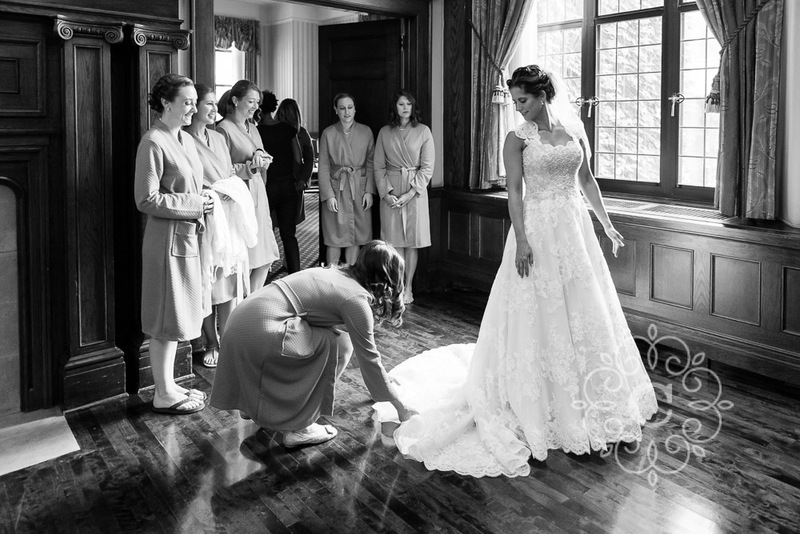 Spend a bit of time on Google to find lists of the most important items to have, then make sure a bridesmaid, personal attendant or other helper can be ready in case of emergency. ~ Allow more time than you think you need to get ready. It’s better to be safe than be rushed – often somewhere along the way people get delayed. Planning extra time into your preparation will help keep things running smoothly. ~ Brides: Consider a hair/makeup trial run. While often times, things can go just fine on the first attempt, you never really know until you see yourself as you will look in real life. Also, you can pair the trial run with your engagement photos, so you are able to see what you look like in photos before the big day! ~ Brides: everyone in the bridal suite should be in their dresses before the bride. Please have all bridal details together prior to the wedding photographers arriving (i.e. wedding dress, bridesmaids dresses, jewelry, wedding rings, shoes, bouquets, veil, invitations, and any special keepsakes.) We will photograph these items prior to your prep time. 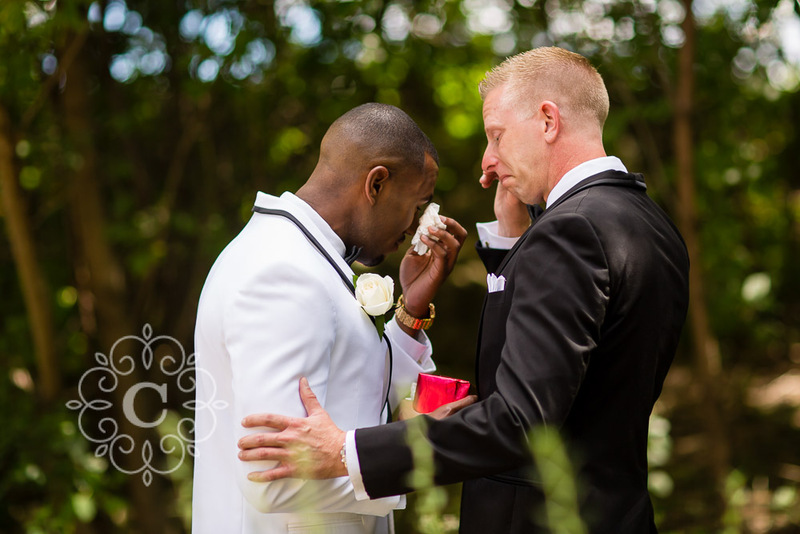 ~ Grooms: everyone in the groom’s suite should be in trousers and shirts for wedding photographers to start. We will capture groom’s details first (i.e. shoes, tie, cufflinks, boutonnière, etc.) Then we will photograph groom prep time. ~ It is typical to allow around two hours for all of your posed wedding photos. Specific details and timing will be planned out prior to your big day. ~ Last but not least, eat, drink, and be married! 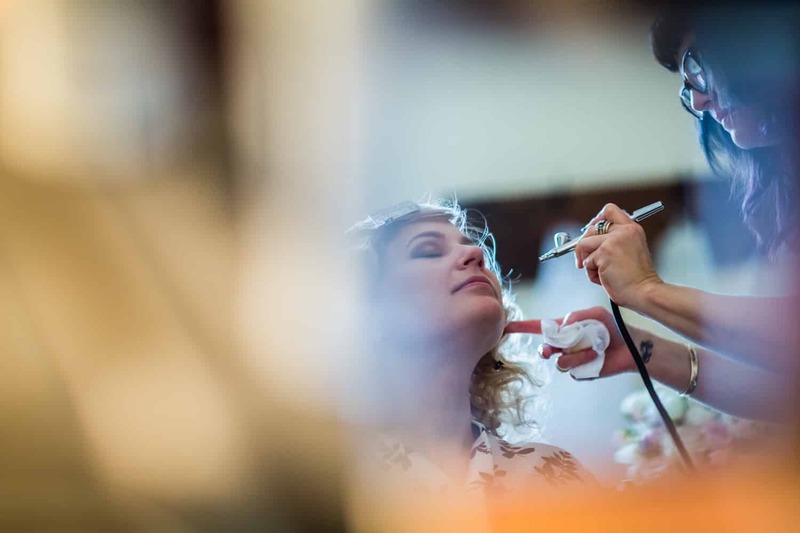 Most of your wedding day is going to be photographed candidly, so you can relax, enjoy yourselves, and forget that your wedding photographers are even there. We’ll worry about getting the best photos of you and your guests without needing any assistance. So kick up your heels, enjoy yourselves, and leave the photography to us! Want more advice? Wedding photography information? Want to see if I would be a good fit for your wedding day? Give me a call at 612.220.8227 or send me an inquiry! The makeup artist took longer than expected. The dress had wrinkles and needed to be steamed prior to wearing. The limo was delayed by road construction. The florist didn’t arrive on time with the bouquets. The dinner took an hour longer than the catering company anticipated. If something were ever to be delayed, chances are it would happen on your wedding day. So make sure to plan in more time than you think you need to accomplish everything. That way, you can probably accomplish all of your events without adding additional stress. Prior to your big day, make sure to delegate any tasks that must happen on the day itself. Things like paying any vendors, organizing posed photo subjects, and announcements, can be delegated to members of your wedding party or family. This will help things run much more smoothly and quickly. Many times people don’t give much thought to these photos, as they are more concerned with figuring out the family portraits. 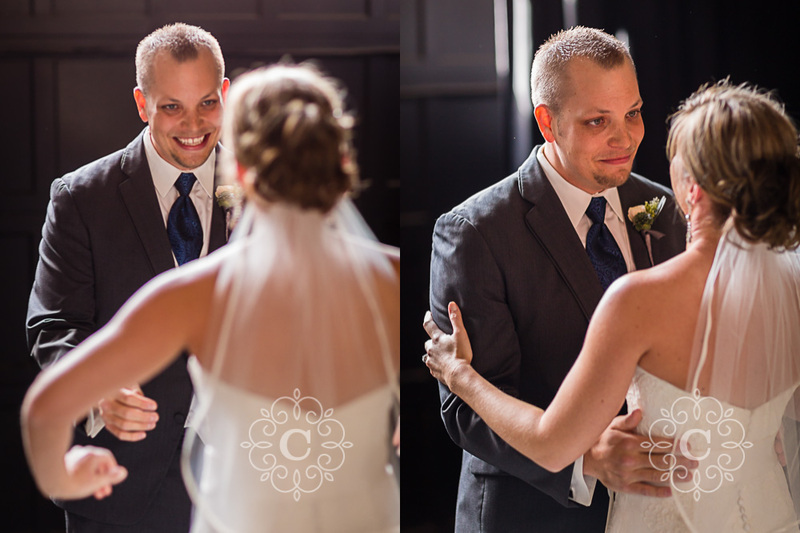 However, the portraits of the bride and groom alone often end up being the most cherished photos of the day. These are the ones you gift to parents, relatives and friends, as well as hang on your own wall. Make sure to plan at least half an hour for your portraits, and more if you are able. You’ll want to be finished with all hair, makeup, photos and travel well before the ceremony starts. 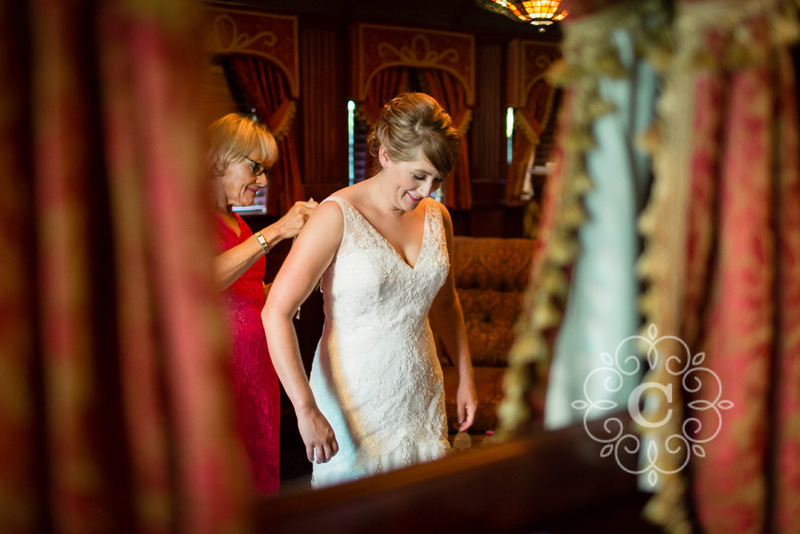 It is safest to plan on being ready at the location 30 minutes, and sometimes one hour, prior to the ceremony. This way you are prepared in case something runs too long. At the very least you have time to breathe and relax before the big moment! Make sure to plan the cake cutting, first dance, parent dances, bouquet toss, and any other special events early in the evening. Often times, many relatives and friends won’t want to stay too long after dinner. This way you will ensure that most people are still available to watch the fun! If you can keep these six wedding day timeline planning tips in mind while organizing your day, you will be much more likely to keep your day running smoothly – helping to alleviate any unneeded stress on one of the biggest days of your life. If you’re looking for a Minneapolis wedding photographer for your big day, contact me soon to discuss how we would work together!